The new five-member boy group VANNER is having their official debut on February 14 by releasing their first full album [V]. VANNERS consists of versatile five members including the leader Taehwan, GON, Ahxian, Hyesun, and YoungKwang. The group name contains the meaning of 'We will go to the top of the music industry and put the flag of victory’. In addition, VANNER is attracting the attention by establishing fandom even before debut by proving their ability through more than 200 times of concerts in Japan last year. 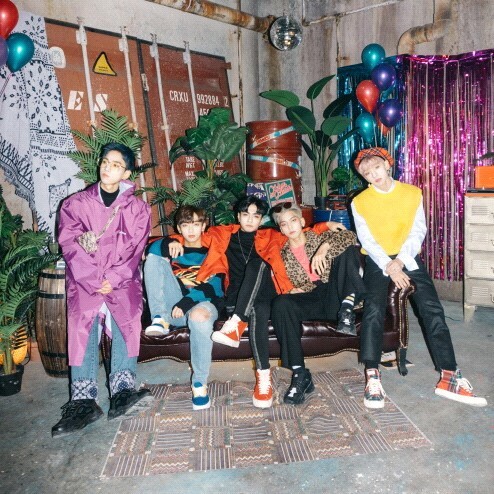 Especially, together with their debut, VANNER took an extreme step of releasing full album right away and will be communicating to the public with their title song ‘Better Do Better’. “The full album made by the passion of the members will be releasing as they debut. We are planning to give full support for VANNER’s activity so please support and love them a lot.”, said VT Entertainment, the agency. VANNER will debut and release their first full album [V] on February 14th noon.